J. W. Rodger, M.S.A., 1859-1950. By the death on the 5th April, 1950, of Mr. John W. Rodger, the Society has lost a former President and one-time strong supporter of its Archaeological Section. 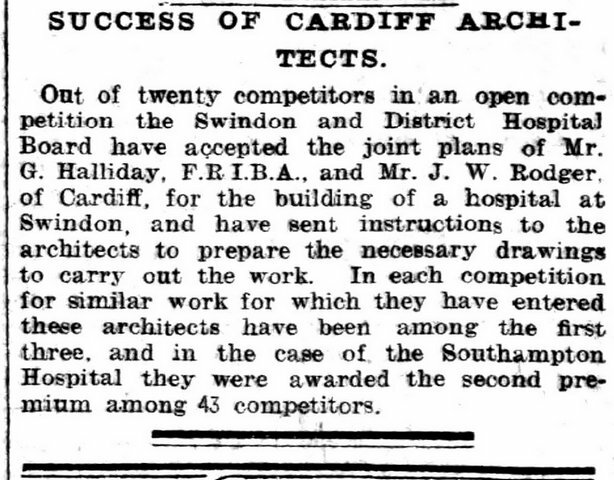 Mr. Rodger was born at Leeds, and raised himself from modest beginnings as a builder's clerk at Barrow-in-Furness to partner in the architectural firm of Halliday and Rodger at Cardiff. In this capacity much church restoration work came his way, including that carried out at Llantwit Major, and gave him an opportunity for archaeological research. In 1902 Mr. Rodger became Hon. Secretary of the Archaeological Section and member of the Society's Council. About the same time his architectural knowledge and skill as a surveyor brought him an important role in the excavations conducted by John Ward on Roman and medieval sites near Cardiff. In this way he came to contribute to the Transaction. 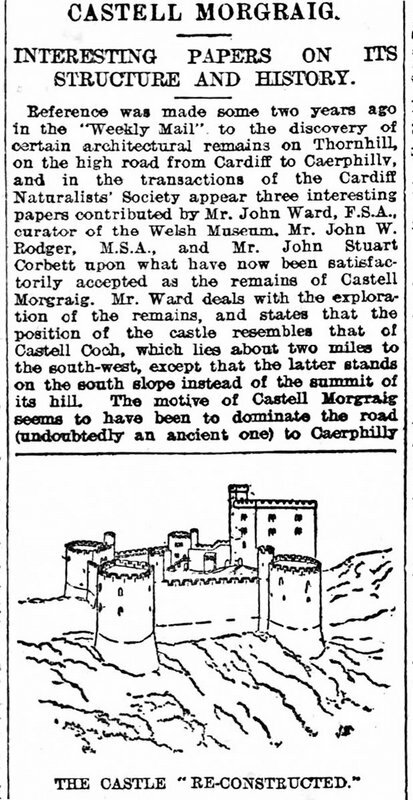 a memoir illustrated with his own drawings on the architecture of Castell Morgraig, Llanishen (1905) and to survey the Society's excavations at the Roman fort at Gellygaer (1899-1913). 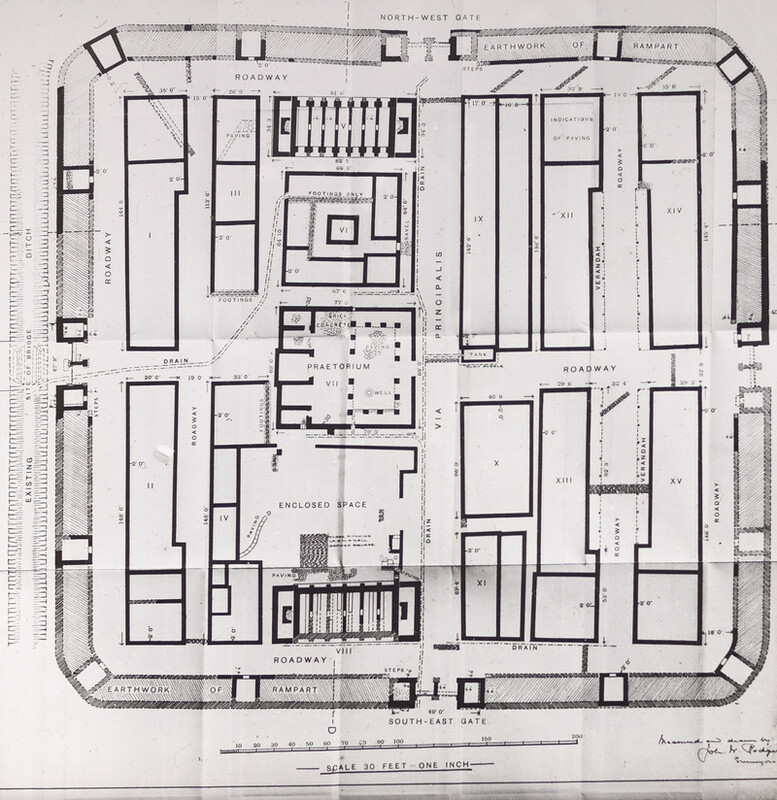 His work at the latter site was particularly important, since this was one of the first Roman auxiliary forts to be scientifically and completely excavated in any country. Mr. Rodger's own research naturally lay in the medieval field, and the most important was devoted to the church and monastic buildings at Llantwit Major. His memoir on the former was published in the Transaction in 1906, while the report on his excavations on the monastic site appeared in the same periodical in 1914. He also made a useful excursion into comparative echeology with his 'Stone Cross Slabs of South Wales, published in the Transactions in 1912. All this work culminated in the Presidency of the Society in 1914; the Presidential address death with 'Some Aspects of Archaeology.' 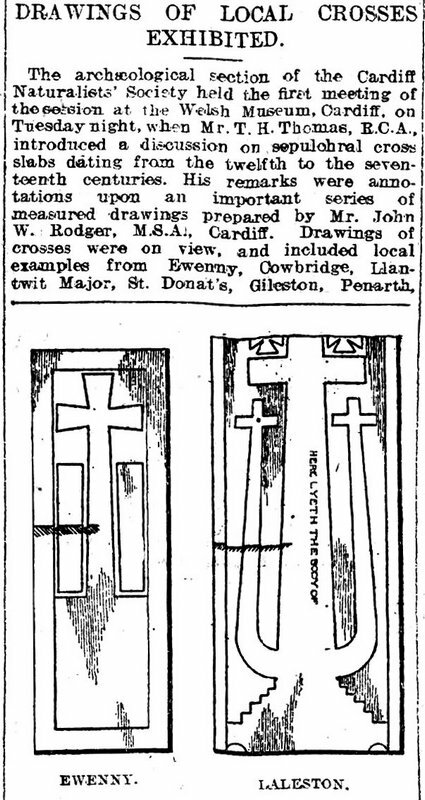 Mr. Rodger retired from business in 1923, and spent the rest of his life at Newton, Porthcawl. He was a worthy example of the professional man, able, by his technical qualification, to render good service to local archaeology in more spacious days than the present. It is allegedly that this kind of amateur archaeologist should be almost extinct in South Wales today, when the need for him is all the greater because of the increasing destruction of unrecorded archaeological evidence in the path of modern developments. 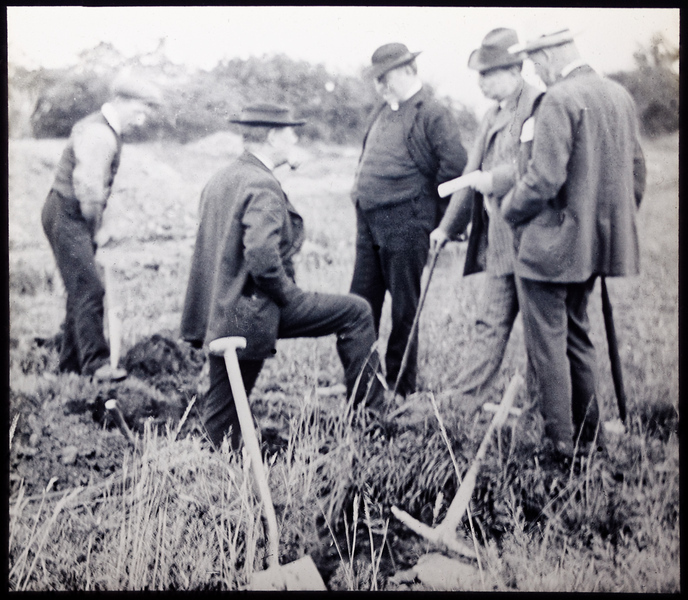 Prime amongst his works were the excavations at Gelligaer which had been ongoing since 1899 and were to go on to 1913 as noted above.